Concepts about the structure and function of the body and how it relates to the mind and emotions are strongly influenced by the environment in which we live and work. The rationalist view of the body and mind dates back to Aristotle (300 B.C.) and was later influenced by the widely adopted theories of people such as Galen (129-199 A.D.), René Descartes (1596-1650), and Isaac Newton (1642-1727). This view provides the underlying principles of orthodox medicine, which takes a mechanistic approach to healing, with the various body systems studied independently of one another, and the body viewed as a machine with parts to be fixed. Unfortunately, tradition is hard to break and education changes slowly. Many contemporary anatomy and bodywork books still take this approach, and graduates may be indoctrinated into a rationalist viewpoint despite the collective research and understanding to the contrary. 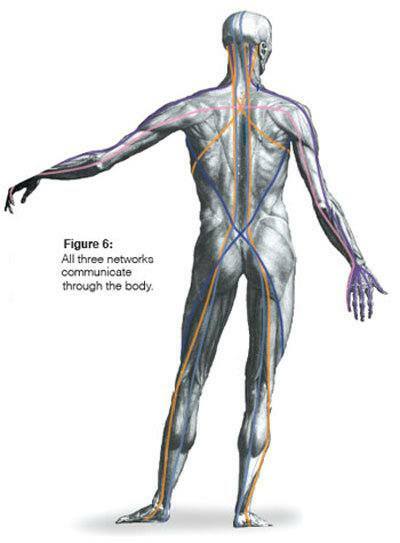 Dynamic Body: Exploring Form, Expanding Function pulls apart this old model and provides the conceptual framework to understand what we already sense as bodyworkers, manual therapists, and massage professionals. We know that what walks into our practices is not a skin-wrapped collection of parts that can be fixed like a car at an auto shop, but a thinking, feeling, emotional, and physical spirit. In this book, you’ll discover how these dynamic bodies work, not simply under the microscope or in the cadaver lab, but as complex, fully integrated, and very much living beings. In our profession, we often hear adjectives such as “holistic,” “whole body,” “interconnected,” and “integrative” thrown about as an ideal in client treatment. Complementary and alternative therapies are slowly moving toward a view of the body, mind, and spirit as an integrated whole that, in turn, is integrated with its environment. We understand, on a visceral level, the complexity of our clients and the need to treat the total person. However, while this is a worthy ideal in theory, its practical application is much more difficult, especially as we lack any broad and commonly accepted models for incorporating these concepts into our clinical treatments. How do we move away from the simple formulaic approaches to treatments that have characterized a longstanding rationalist view of the body? How do we develop a treatment approach that doesn’t just address the health status of a small part of the body, but encompasses the structural, neurologic, and psycho-emotional aspects of a client’s complaints? How can we even begin to consider our treatment options from this perspective, when the cause of a seemingly isolated complaint is so multifaceted? Dynamic Body makes a bold leap into answering these questions by pulling together some of the top thought leaders in our profession. These forward-thinking researchers and clinicians have devoted their lives to answering questions that help us truly understand adjectives such as “holistic” and “integrated” for the first time. In these pages, they explore and help us understand the “dynamic body” from their diverse backgrounds and rich collective experience. The contributors to this book are change agents – imaginative and innovative thinkers. They will push you to see the body in an entirely new light. Their insights will help you rethink what you thought was true of the body and challenge you to see your clients’ issues in a very different way. They weave together disparate ideas in unique ways in order to show us the fabric, if not the thread, of a new paradigm of the body. Along the way, you will find yourself redefining who you are as a bodyworker and massage professional. As a director of both the World Massage Conference and Massage Therapy Radio, I’ve had the opportunity to interview hundreds of the top educators from around the world. 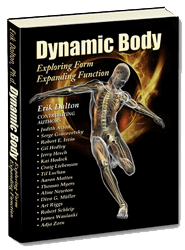 So I can say with certainty that the contributors that Erik Dalton has brought together in creating Dynamic Body are truly the most novel thinkers in the profession. You will immediately recognize many of these contributors as celebrities, the giants in our profession. Others may not have the same name recognition, but have been working out of the limelight, formulating their paradigms behind the scenes, and mastering their application. Most are clinicians at heart. They continue to help clients on a daily basis in their own practices. They have hundreds of thousands of hours of shared experience, and their conclusions are based on real life, in the trenches experiences and observable outcomes. As a result, their ideas and approaches to treatment planning have direct relevance and application for you and your clients. This book is a must have for your professional library. Whether you choose to explore the chapters in sequence or wander through the sections that interest you most, you will discover a world of ideas that will forever enrich your practice. Eric Brown is considered the foremost massage business expert in the massage field and has been called the Grand Massage Poobah. He has been a practicing massage therapist in Toronto, Canada for over twenty years and comes from a background in both classical ballet and business. He has been helping massage therapists and bodyworkers grow successful practices by offering massage business courses and resources since 1997 through BodyworkBiz. 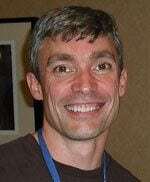 He specializes in web marketing and has developed well over 100 websites. He is also co-founder of a the World Massage Conference, a virtual massage conference which has been the largest event in the history of massage.